Anger is a completely normal, usually healthy, human emotion. But when it gets out of control and turns destructive, it can lead to problems — problems at work, in your personal relationships, and in the overall quality of your life. And it can make you feel as though you're at the mercy of an unpredictable and powerful emotion. A Very Touching Story about Anger !! People are used and things are loved. . . .
Control your tongue and your actions when you are in anger!! 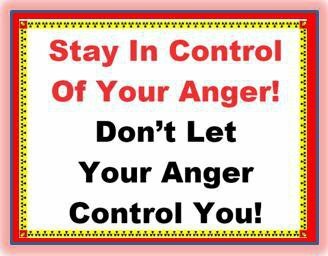 May Allah help us all to control our anger !! Aameen ! !